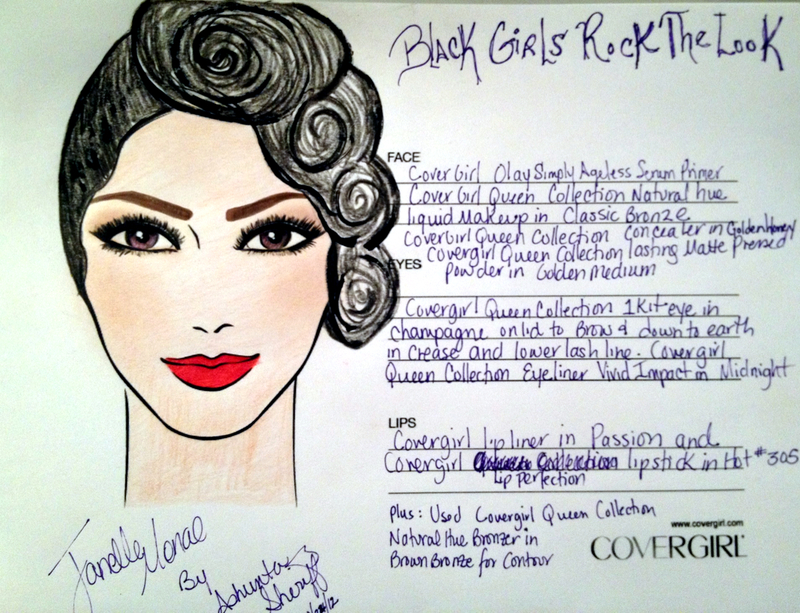 A few weeks ago I had the honor of being a CoverGirl ambassador for the 2012 BET Black Girls Rock! Awards taping. I interviewed beautiful new CoverGirl, signer extraordinaire Janelle Monae, on the red carpet about her beauty look, and got the exclusive details on how you can recreate her look from the show, which aired yesterday, Nov. 4th. Celebrity makeup artist Ashunta Sheriff created Janelle's glamorous look last night using CoverGirl makeup, featuring a strong, bold brow, beautiful glowy skin topped with tons of lashes and a glamorous red lip. In our interview, Janelle, who was being honored that night, told me that one of her all time favorite CoverGirl products is the new CoverGirl Lip Perfection lipstick in Hot 305. "It's one of those if you only had a few products on a desert island what would you take kind of things!," Janelle told me. P.S. Janelle also had a killer manicure from celebrity manicurist, Elle, who used the just launched CoverGirl Outlast Stay Brilliant Nail Color in red, #175. *More on the nail line coming soon.